Originally in Counterpunch. Thank you, CP. 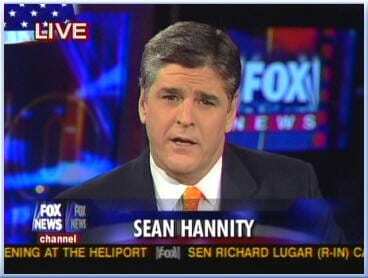 Sean Hannity: Be sure to wear nose clips when approaching this tower of excrement. I remember reading the New York Times review of Bill Ayers’ first book Fugitive Days while sitting on a curb in Greenwich Village on September 11, 2001. The haze from the demolished towers hung on the air as thick as the fear felt by almost every person in the city that day. After reading the review, I thought to myself about how the book’s release could not have come at a worse time. The destruction of the Twin Towers and the media hullabaloo around that destruction was already overriding any shred of common sense. It would be a long while before any rational discussion of the Weather Underground would take place in the United States. For some segments of US society, there would never be a rational discussion. Bill Ayers writes about that first book and the reaction to it in his newest release, Public Enemy: Confessions of an American Dissident. He discusses why he wrote Fugitive Days, the interaction with the media in the wake of its publication and the attacks of September 11, 2001, and much, much more. It is the much, much more that is the real story in this book. Ayers writes about raising children and he writes about teaching them. He also writes about helping friends in prison and responding to public campaigns attacking himself and his family. The narrative Ayers provides is honest, personal, political and occasionally funny. The best example of the latter is the story he tells about him and his wife Bernardine Dohrn having dinner with a group that included right-wing bloggers Andrew Breinbart and Carlson Tucker. The dinner was the result of a fundraiser for a humanities council Ayers and Dohrn were part of. The dinner guests had bid the highest for the opportunity to get inside the Ayers/Dohrn home. Despite whatever they were anticipating, it seems everyone had a great time, enjoyed the food, drink and even the conversation. Ayers’ retelling is bound to evoke a few chuckles from almost every reader, if only for the absurdity of the spectacle. During Obama’s first presidential campaign Bill Ayers and the Weather Underground Organization (WUO) became a campaign issue. In Public Enemy, Ayers writes about receiving death threats thanks in large part to (what he calls) the caricature of him being broadcast by the mainstream media, especially from the studio of FOXNews host Sean Hannity. Reading his narrative about those months, and as another indication of how implacable this element of the media can be, I was reminded of my own interaction with Hannity’s staff when they called me in October 2008 asking if I would like to appear on his show to discuss the WUO. I responded by telling the staffer on the phone that I disagreed with pretty much everything Hannity said and found him to be a disagreeable human being. After a quick consultation with Hannity, the staffer called me back and rescinded my invitation by saying that they would find a more agreeable guest. Public Enemy is mostly a collection of anecdotes from Bill Ayers recent life. He does begin the book with a chapter about his last years underground and he touches on the reasons he and Bernardine decided to surface in 1980. He also writes about the circumstances he and Bernardine faced after the 1981 Black Liberation Army/May 19thCommunist Organization Brinks holdup in Nyack, NY went wrong and resulted in the deaths of lawmen and robbers. Two former WUO members were involved in the action and both were charged with several crimes, including murder. As part of a fishing expedition by the authorities, Bernardine was called before a grand jury, refused to testify and ended up behind bars. Ayers writes tellingly about the stress and emotional changes the entire episode put him and his family through. Politics are part of the story in these pages, but the primary impetus is on family and friendship. Indeed, the truest hero in the book is the family’s New York child care provider, BJ. In no way apologetic, the book is a well-written consideration of an engaged life lived in a contentious time. In his anecdotes and discussion, Ayers portrays a political world where too much (if not everything, to borrow a line from Bob Dylan) is broken. When one lives in such a world, the best we can do is to try and make it work for as many as possible. Just as importantly, one must try and live a life that one will not be ashamed of when the reckoning day comes. To be sure, there are those whom Ayers discusses in his book that think Bill Ayers very existence is a major blemish on the human race. However, to his credit, the book doesn’t spend time lambasting his critics, although it does poke a little fun in their direction. Public Enemy is not an attempt by Ayers to reconstruct his public persona. He makes it clear that he has no control over how people perceive him and, even if he did, he probably wouldn’t change much. The title itself seems slightly tongue in cheek, but pointedly so. Here, says Ayers, is your public enemy. Take it however you want. Posted in BOOKS, CAPITALISM & SOCIALISM, CIA + GOVT CRIMES, CULTURAL POLITICAL ISSUES, REVOLUTION, THE LEFT & PSEUDO LEFT.